All new Nanoweave upper material combined with an updated modernized Nano tooling creates the ultimate CrossFit? shoe. ? EVA Midsole for shock absorption. ? Forefoot flex grooves for flexibility. ? High abrasion rubber outsole provides durability. ? Multi-surface outsole for traction. ? CMEVA molded midsole for extra cushioning. ? Molded sockliner for total comfort and cushioning. ? External heel counter creates a locked-in feeling for any weight lifting movements. 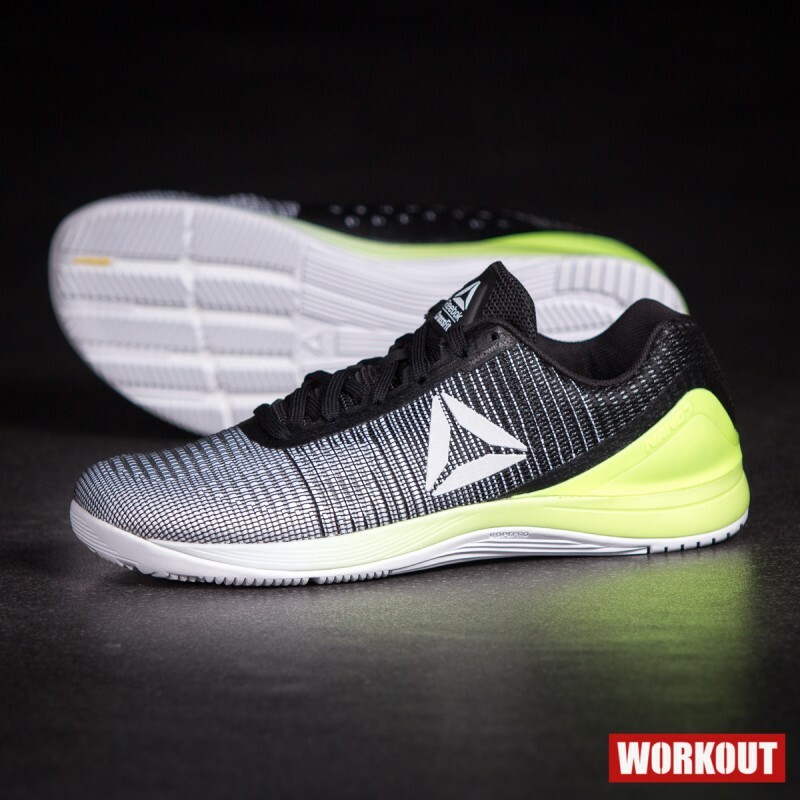 Značkové dámské produkty Reebok Dámské boty CrossFit NANO 7 BS8295 patří do kategorie Trénink. Produkt koupíte pod kódem BS8295. Tento produkt máme skladem. Nyní sleva 50% na tento produkt.